After the Cambridge Analytica Facebook scandal, People are worried about there data and privacy. Everyone is looking for ways to limit what the tech giants know about them. Now comes Google, Google knows a whole lot about you. Dylan Curran, an information technology consultant, Tweeted about what Google knew about him. 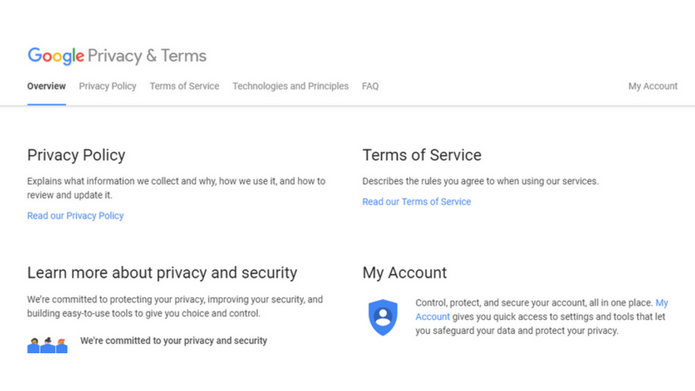 Well, Google is not similar to Facebook, It is very transparent about the data it collects. You can find all the data elements the company collects on its privacy page. Moreover, Google allows its users to download a copy of everything they have stored on the company’s services, including Drive, Calendar, Gmail and Hangouts. So, before starting it keep in mind taking a copy of your data doesn’t delete it. Think of it as a backup. Below are some of the things Google knows about you. Information about places you visit, where you’ve been at what date and time since you started using Google on your phone. Things you do and create. 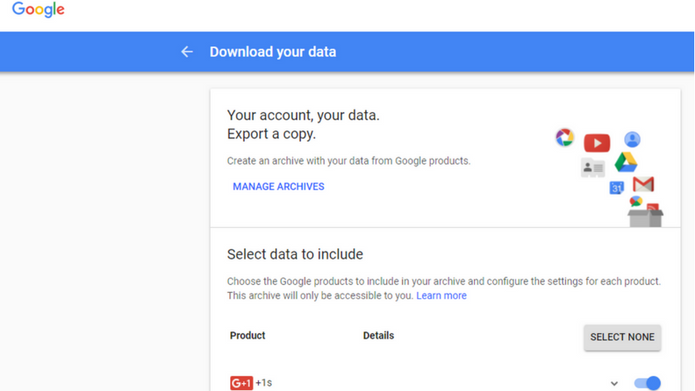 So, when you download the Google archive, you’ll get a copy of nearly everything It has stored on its servers, including, Chrome bookmarks, transactions from various services, and more. The apps you opened on Android down to the exact second I opened it. Rewards cards you once used in Google Pay. Track of YouTube comments and every video watched. Google play app searched or download list. Every news article read on Google News. Ads viewed or visited in any of Google’s products. All of Gmail files including Spam and Trash. The first thing you need to do is, Go to Google Page. Select the apps and services which you want to back up. In case you want to take a backup of everything then select all. After selecting the apps, Click ‘Next’ at the bottom of the page. Choose the file format – you can pick a ZIP file and choose a maximum size. Finally, Choose your delivery method by which you can get a link via email or have the archive sent to Dropbox, Google Drive or Microsoft OneDrive. Tap “Create Archive.”Be patient. Google warns the archive may take hours or days to create. Don’t be panic if it takes time, It may take hours or days to create. Be patient! As Google collects all information, from its products which you use. You’ll then be able to open that file to see all of your data, photos, calendar files and more.